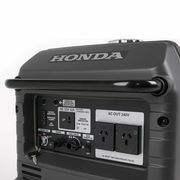 The Honda EU30IS is an inverter generator meaning that it produces clean energy and a commercial grade level enabling it to directly run frequency sensitive electrical equipment such as computers. Equipped with a 12 Amp/12 Volt DC and a maximum of 3000W/240 Volt AC, and the EU30is can run appliances and charge batteries simultaneously. With a running time of up to roughly 20 hours using the eco throttle. The Eco-throttle is also another great feature which when operating adjusts the revs of the generator to only produce the amount of power required at the time. 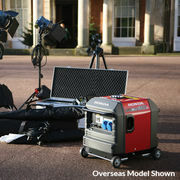 As a result this reduces the noise significantly and also provides greater fuel efficiency. 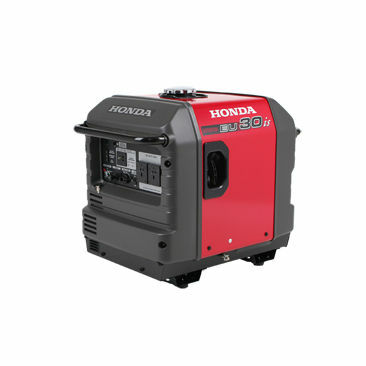 This Honda EU30IS is also fitted with a convenient electrical start and back-up recoil start ensuring your Honda like all others will start first time, every time. 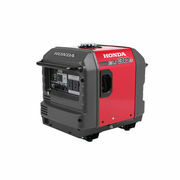 At 59kg the Honda EU30is is one of the lightest generators in its class. Running on unleaded fuel removing the hassle of fuel mixing and 4-stroke means these pollution and a quieter engine. It is also protected by a low oil alert system where it will shut itself off as soon as the oil levels get too low. 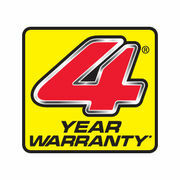 And as per usual you get Honda's 4 year domestic warranty or 1 year commercial warranty so you know your buying a product backed in for the long haul.